Pug dogs are very expressive, their face says it all. With this handy design shopping bag, you'll just want an excuse to go shopping and take it with you for everyone to see. Made of very sturdy materials, this bag will last you a long time. 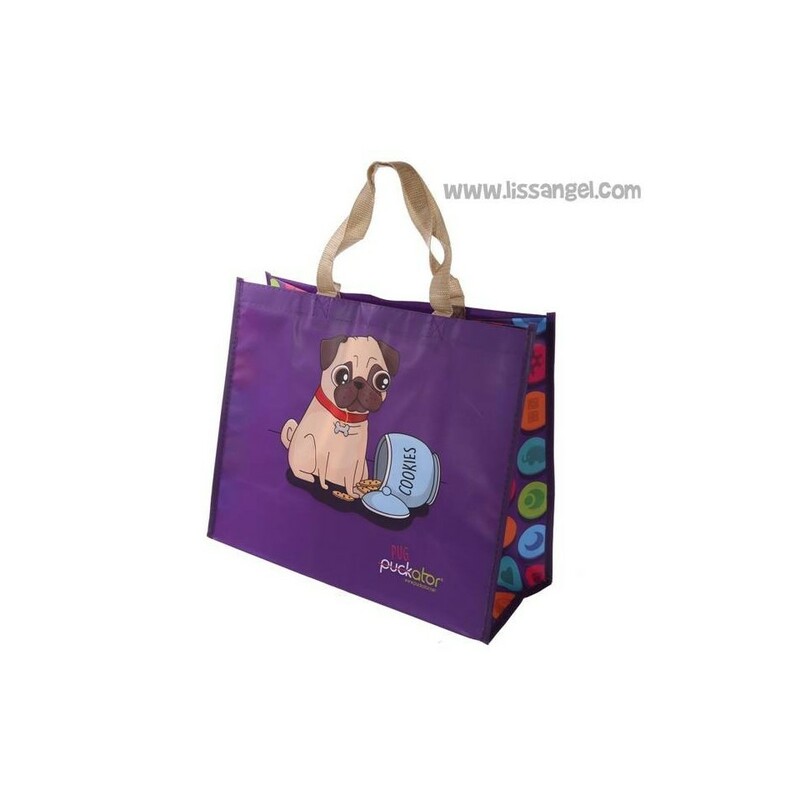 It is perfect to carry for example in the car and have a shopping bag always near you. 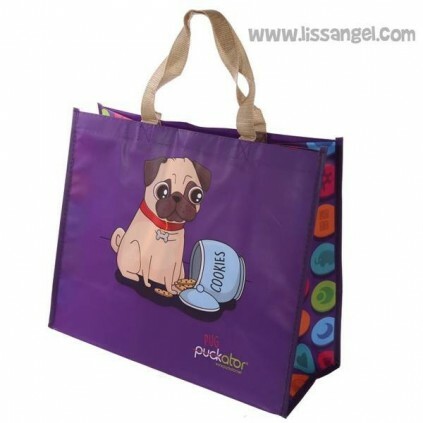 The pug is on both sides of the bag. This funny carlino is looking at you with that sweet little face while tries to eat those delicious cookies!